Summer is right around the corner. Can you feel it!? I know I’m aching to take homeschooling off my plate, and sit by the pool. As I tell my first grader, let’s finish strong, I am silently saying it to myself as well. If you are like me, there are LOTS of things to look forward to this summer. For one, I hope to craft a lot and attack some projects that we have been wanting to do for a while. I would LOVE to help kick off your summer with something for you. 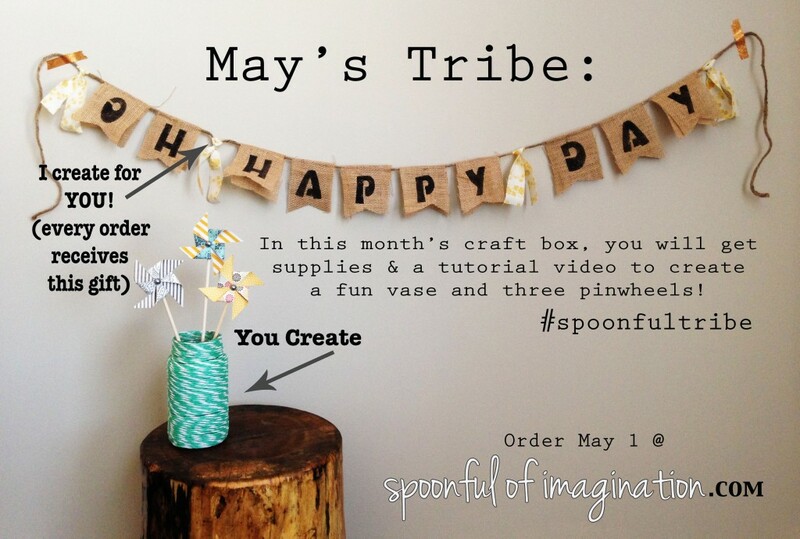 Today, we open registration for our May Spoonful Tribe craft kits. 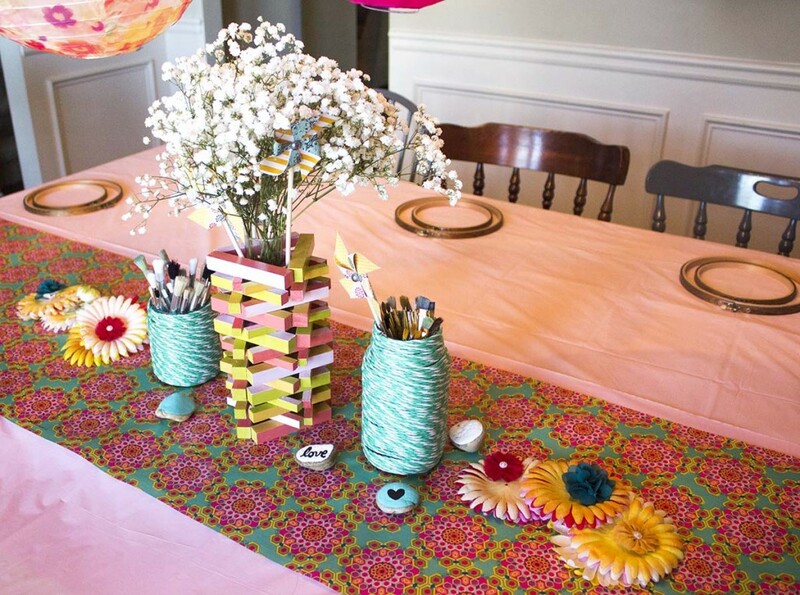 These kits will teach you how to make a fun, textured vase and three pin wheels. On top of that, with my Tablespoon and Serving Spoon kit options, I will be sending you a little gift from me. 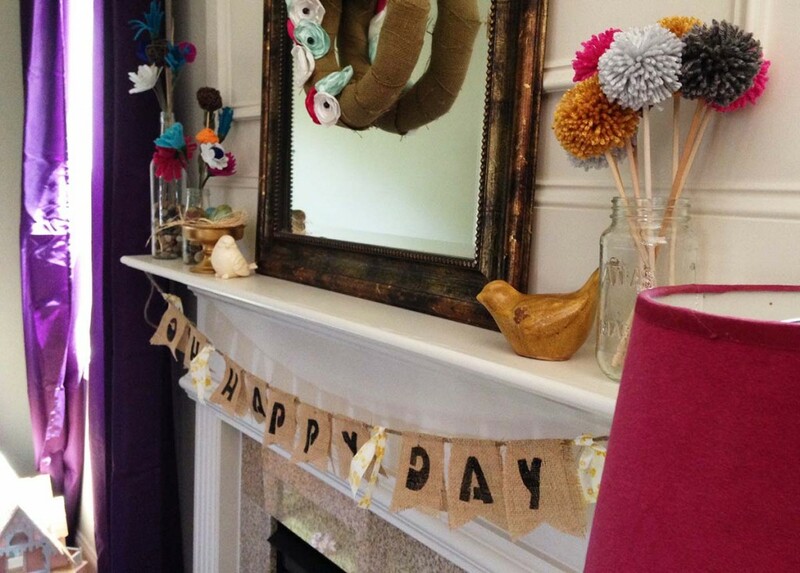 This burlap “oh, happy day” banner is a great little emellishment to hang in your home all summer longer! I hung mine on my mantel. The vase and pinwheels can do much more than just hold and decorate flowers. 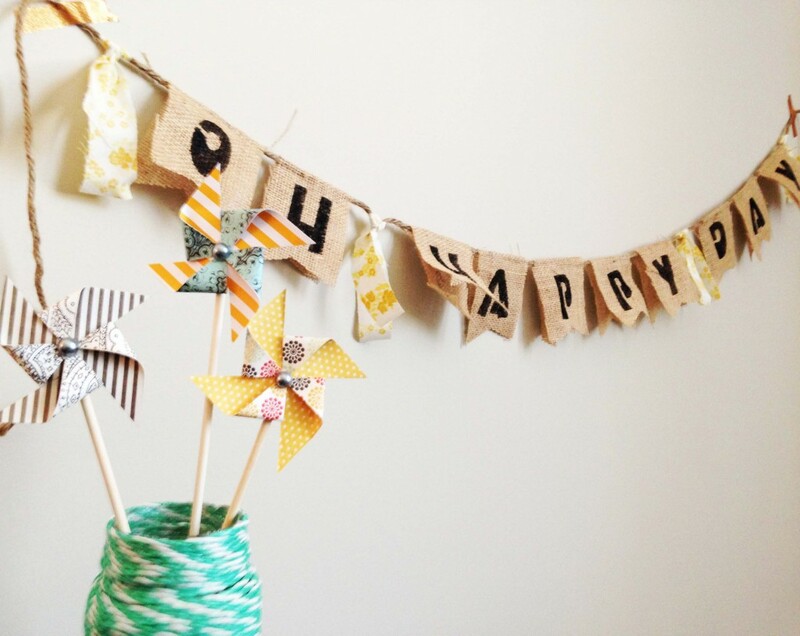 The pinwheels would make great cake toppers and the vase can hold anything you want! I love having paintbrushes in mine. We are constantly trying to improve and make the Spoonful Tribe the best experience for you possible. We have found that keeping it simple helps. There’s no long term commitment. No hidden costs. Pick the kit you want, we send it to you with all the supplies included. We offer three different variations of this kit, so you can pick the best price point and size that makes sense for you. All the kits include a tutorial video where I personally walk you through how to create each craft. Do you just want the supply list and video tutorial links? You can get that with our Teaspoon Craft Kit. 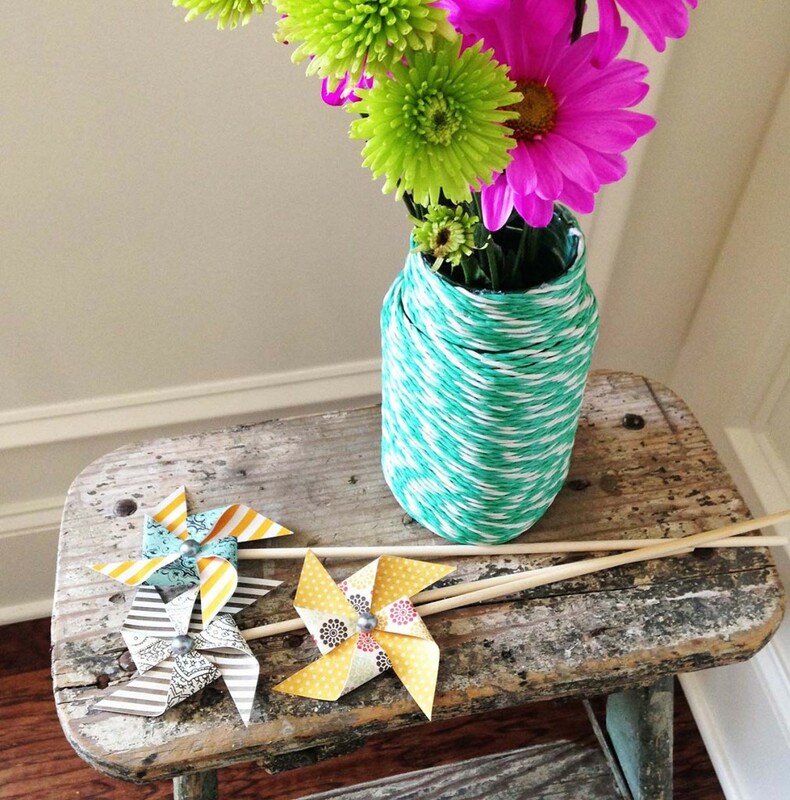 Do you want the supplies and tutorial videos to create the vase and pinwheels? You can get all this with our Tablespoon Craft Kit. Do you want all the supplies, bonus supplies, tutorial videos, and special gift creation from me!? You can get that with our Serving Spoon Craft Kit. There are options and we hope to help you create and imagine in an easy, FUN way! You can do these crafts! 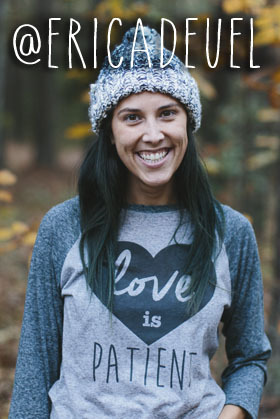 I love this little growing tribe of crafters. It is so inspiring for me to see how you take the supplies and create your own creation. Seeing your imagination come alive and your creativity in the works inspires me. Thank you so much for all your support. If you have a friend or a “pin board” that you think would enjoy this craft, it would mean so much if you shared it! Thank you for being the best readers ever.